Are the Colts suddenly winning so they won’t get Andrew Luck? Crazy as that sounds, between Peyton Manning probably staying on in Indianapolis if he’s healthy and Reggie Wayne announcing he won’t be back next season, the Indianapolis Colts won their second consecutive game and are no longer alone in the NFL basement. It was Reggie Wayne, who we kind of forgot about as being one of the best receivers in the NFL for quite a few years now, who caught the winning touchdown off a Dan Orlovsky pass with 19 seconds left on the clock. 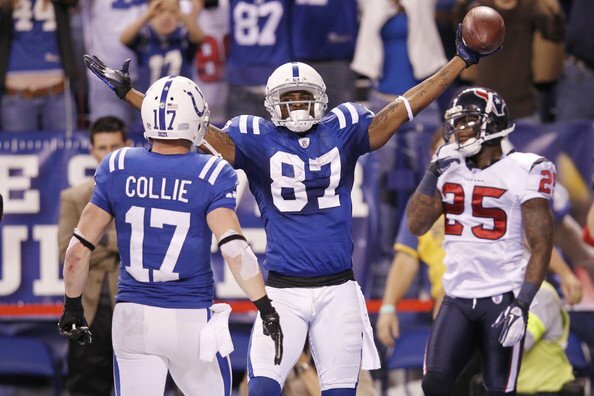 The Reggie Wayne who has caught for over 1000 yards every season since 2004, and went for 106 against the Texans. A couple of wins change everything, even if those wins won’t take the Colts anywhere far. Finishing a season with a few W’s is miles, light years away from a disastrous 0-16 season, which Indy have now avoided. Colts owner, Jim Irsay came out on Thursday, speaking about Peyton Manning’s future with the Indianapolis Colts – I think the situation is if he’s back and he’s healthy, I see him coming back and playing here. I think the hope is that his health is in the position where he could return again. That remains uncertain and that’s something that’s first and foremost on my mind. The two wins have changed a lot of opinions in Indiana this last week, with both of them coming five days apart. 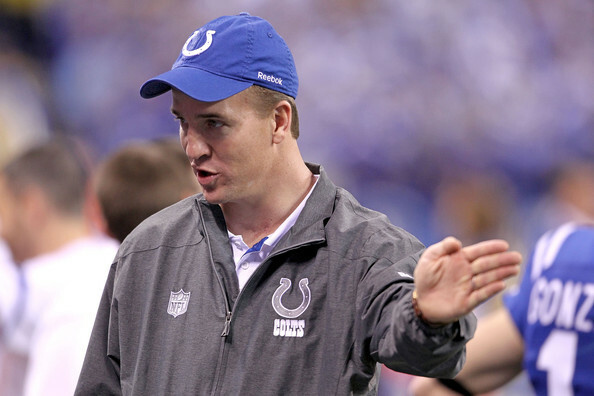 Manning will be the #1 quarterback next year, and early signs show that he’ll be ready. He won’t be throwing any passes in 2011 despite some hopeful souls, but the job is his if he wants it, at least that’s what the man who signs the checks says. Jim Caldwell’s future might also be not what most presumed it to be as the losses piled up this season. Special circumstances have to be taken into consideration, and it seems despite the facts the Indianapolis won’t win more than 3 when it’s all said and done, Caldwell might actually get to keep his job in 2012. I’m concerned we came out and lost 13 games. We certainly were looking to do better. In terms of evaluating things, I think you have to look at the Texans. Last year, their coach was under great fire, Bob McNair stuck with him and now he’s very popular in Houston. So when the season ends, I will evaluate everything. You know I love continuity. Colts or a new destination? What does this mean about Andrew Luck? Well, first of all, the Colts aren’t the worst team in the league anymore. 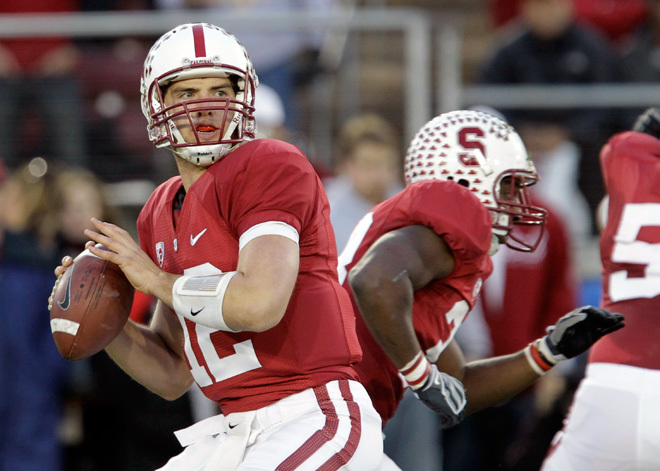 St. Louis and Minnesota are at 2-12, and the Andrew Luck draft outcomes don’t seem certain as earlier. The Colts will take a quarterback to be Manning’s heir if possible, but Luck will go no.1, no matter where. Matt Barkley announced he’s staying at USC for another year. Putting aside the Manning-Luck speculation or anything involving the head coach, it looks like the Colts are just happy they aren’t going down in infamy – I couldn’t be prouder of the way the men on this team played. Yoy start out spotting them seven points, they’re the AFC South champions, they’ve got everything to play for and people would think we’ve got nothing. But the men on this team just kept fighting. We knew if we kept it close we’d have a chance late. I ain’t worried a bit about the draft or any of it. I’ll let the Polians worry about that, that’s their job. My job is to win football games, that’s all I care about and that’s all they tell us to care about. I’ve never heard one person in this organization ever talk about what our draft is going to be the next year. Those guys plan for it, they’re going to do their best to get the best players in here. You’ll see what you get.